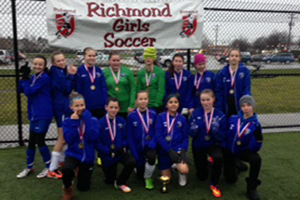 DCS U13 Metro Girls Shock team, Champions in the Richmond Winter Classic Tournament( January 3-4th, 2015). The girls beat Vancouver FC in a shootout for top spot! Coaches Mike Roberts, Jas Hothi and Ray VanMarrewyk .